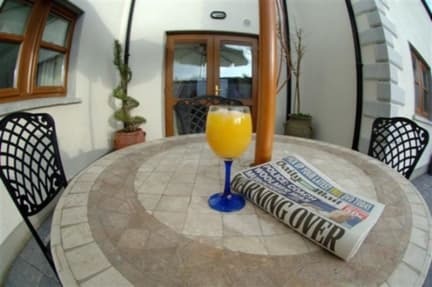 Avlon House Bed and Breakfast, Carlow, Irlandia : Rezerwuj teraz! 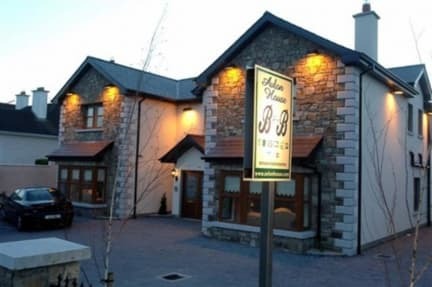 Avlon House Bed and Breakfast situated just 0.5Km North of Carlow Town (5min stroll) on the N9 is an ideal base for touring the South East of Ireland. Avlon House Bed and Breakfast offers 5 elegantly furnished En suite guest rooms with Broadband Access, secure parking and patio area. There is also a warm and cosy guest lounge with an open fire. Avlon House bed & breakfast following independent quality audits by both the Irish Tourist Board & The AA have being awarded a 4 star recommendation in recognition of the high quality product offered to visitors. We are the First B&B in Carlowto be awarded this standard by the Irish Tourist board. Situated in the Sunny South East of Ireland, approximately 90 km from the Ferrys and Airports of Dublin, Rosslare and Waterford, Carlow is one of Ireland's most charming inland counties. Its' central location offers the perfect base to explore the bordering counties of Wexford, Kilkenny, Wicklow, Kildare and Laois. We are located on the R448 (formerly N9) 7 min walk north of Carlow town Centre. From Dublin Go Straight through 2 round abouts at Braun and we are located 900m on right before Topaz Service station, From waterford follow N9 through all traffic lights (3 sets) under rail way bridge and the we are 500m on left just past Topaz Service station.